Chamber Orchestra Ogden will open our first concert of the 2016-2017 season on October 22 with a performance of Beethoven’s Egmont Overture, Opus 84. 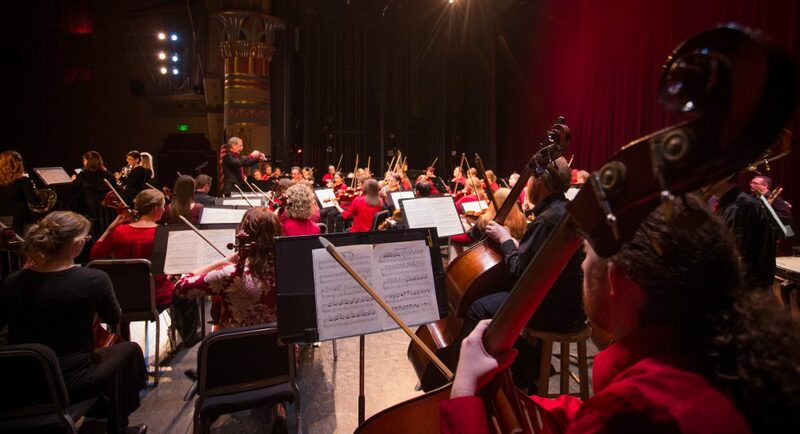 Joining us for this overture will be the Ogden Youth Orchestra, which is a part of the Weber State University String Project. Following the Beethoven we will switch gears and perform a short and exciting piece by Humperdinck titled Witches Ride. This is taken from Humperdinck’s well-known opera “Hansel and Gretel.” We will follow this up with In the Hall of the Mountain King from Edvard Grieg’s “Peer Gynt Suite No. 1. The combination of these two make a perfect prelude for Halloween. 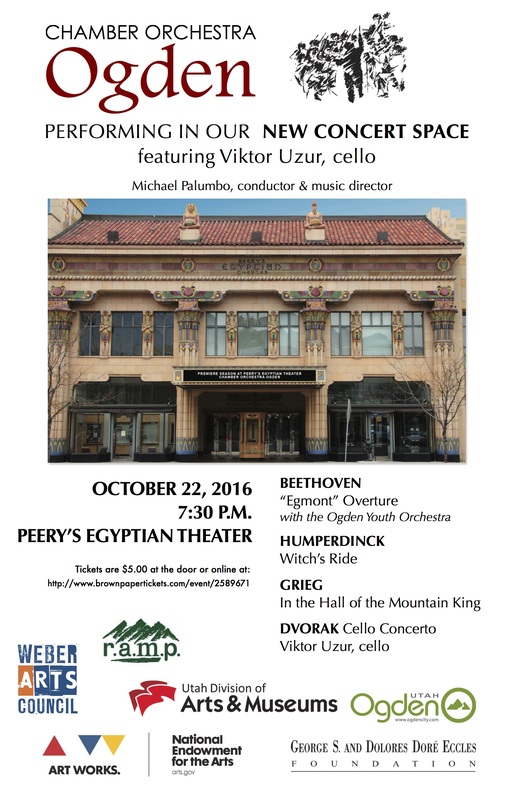 Our featured soloist will be cellist Viktor Uzur, professor of cello at Weber State University, and internationally known concert artist. Viktor will perform Dvořák’s virtuosic Cello Concerto in b minor, Opus 104. Dvořák wrote the concerto while he was in New York serving as the Director of the National Conservatory. He began the concerto on 8 November 1894 and completed on 9 February 1895. Viktor Uzur has appeared as a soloist, chamber musician and artist in residence in many countries in Europe, Asia, North America and South America. His performances, interviews and compositions have been broadcast on television and radio stations in the former Yugoslavia, Russia, and United States. Uzur is regularly featured on NPR’s “Performance Today” with the Richter Uzur Duo. His most recent recordings include “Solo Cello”, “String Theory”, “Viktor Uzur in Recital” and “Entertainers”. Uzur is the cello professor at Weber State University where he is also founder and director of the Bonneville Chamber Music Festival. This concert will be our first in our new performing venue, Peery’s Egyptian Theater, 2415 Washington Blvd in Ogden. The 1924 theater was built in an era of sumptuous movie palaces, and has been returned to its original elegance. Peery’s Egyptian Theater boasts state-of-the-art technology, including the restored atmospheric lighting, which resembles a setting desert sun evolving into a sparkling night cosmos. Michael Palumbo, the orchestra’s music director, and the members of the orchestra are very excited to be able to perform in such a magnificent setting, and they look forward to seeing the many friends who have faithfully supported previous years’ concerts, as well as many new friends.